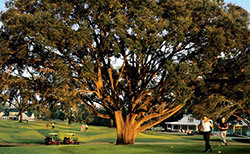 Southwood Golf Club – located in Tallahassee, Florida is an extraordinary facility created by The St. Joe Company and one of the most celebrated layouts in Florida. Named one of the Top 35 New Courses in America by Golf Magazine and among America’s Best New Courses by Golf Digest, SouthWood wows golfers from across the country. 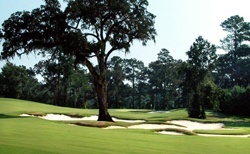 SouthWood was also named One of the Top 50 Courses for women by Women in Golf Magazine and voted Tallahassee’s Best Golf Course by Tallahassee Magazine. Masterfully designed by PGA Tour legend Fred Couples and his renowned design partner, architect Gene Bates, SouthWood Golf Club is an upscale public facility nestled among rolling hills, pastureland, and ancient oak trees draped in Spanish moss. SouthWood Golf Club was designed to provide enjoyable and challenging golf experience for players of all levels.